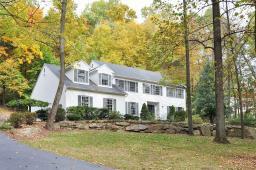 Spacious colonial in Colby Farms Subdivision of Chester township. Finished Basement, updated, paver patio. Situated on 3.534 acres.